DGT-C:mechanical drive, energy saving, stable, simple operation, microcomputer detection and domestic advanced technology products. Ruian City best machinery factory founder in 2013 developed the first machine type intelligent automatic crimping cup machine. After a year to update and improve the machine performance, and the work is stable, with low power consumption, residents use of electricity, monitored by the computer automatic feeding, automatic counting with rotation of the collector, automatic computer monitoring and protection, reduce workload and improve work efficiency, is ideal intelligent curling cup machine. The working speed is 20 times per minute，the level of the capacity in China is 25times per minute. 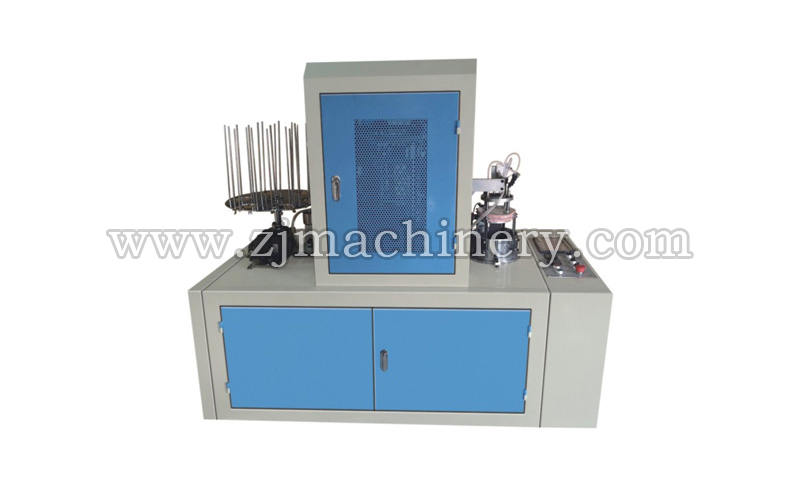 It has the mechanical transmission, the feeding monitoring, the paper feed monitoring, the shape control, the collection monitor and so on the automation system.If the fault the machine will stop and alarming .